These days there seems to be a myriad of methods to remove unwanted hair. From waxing to laser treatments it is hard to figure out what works best for your needs and where you should get it done. Fret not! Beauty Insider’s got the scoop to the best ranked salons in Singapore. We’ll give you a comprehensive review of the pros and cons of the various hair removal methods to help you prep for the festive season. A better alternative to shaving. A great way to experiment with hair removal if you are unsure if permanent hair removal is your choice. A tried and tested name in the business, Strip is a go-to for many. Their licensed aestheticians are efficient and patient and cater to your needs while making sure you have a pleasant but short experience. Though pricy, it is definitely worth the money. This festive season first time customers can try their popular Brazilian wax for just $38. A well rounded specialist in the beauty industry, Cecilia Westberry is a one-stop shop for all your beauty needs. An industry veteran, it is not difficult to understand why this brand is a favourite amongst celebrities in Singapore. Their Brazilian waxing services span from a range of $27 to $60 depending on what you’re looking for. The only sugaring parlour available in Singapore, Sugar(ed) helps remove hair from the root in a quick painless manner. By using the same ball of sugar over and over again, the therapist removes your hair in the natural direction of your hair growth. It makes a huge difference as the sugar paste adheres to your hair (not the skin) removing hair without irritating the skin. Treatments are slightly higher ranging from $65-$75 for a Brazilian. However, if pain is your biggest concern, sugaring is the way to go! With patented technology from Japan, Japan IPL Express is amazing because you pay per shot of IPL. At just $1.98 per shot, results can be seen in 4-6 weeks depending on your hair growth and sensitivity to IPL. An average treatment session at the bikini line can cost between $120 to $300 depending on hair growth. For a limited time only, students get 50% off for 100 shots and above while others get the same discount for 200 shots and above. Your first trial treatment is free so try it out to see how well your skin reacts and find out if IPL is for you! Regina uses a more advanced version of IPL called KPL. It is an FDA-approved safer method that lessens the side effects associated with IPL. 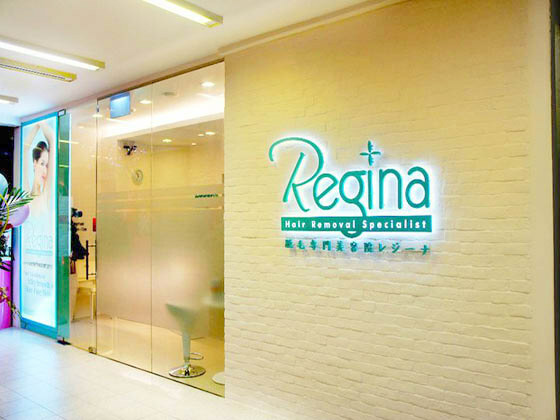 The treatment frequency is decided by the Regina therapist themselves so you can rest assured that your hair removal journey is in trusted hands. KPL is said to be completely painless and requiring less treatments. For this month only get your second package at 50% of. Prices for bikini hair removal range from $ 588- $1048.